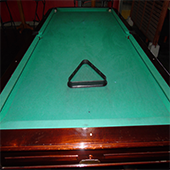 We have 5 snooker tables in our space for your enjoyment. 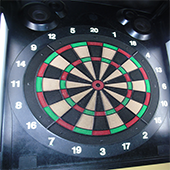 Test your aim or play with third parties on our darts machines. We have 3 machines for your enjoyment. * Bar Lounge abre às 13:00h. * Snack-Bar e Footbowl abre às 20h. © Bowlikart. All rights reserved.